Every year we enter the ICON awards put on by Colorado Expressions. We love being part of the evening and seeing all the event industry players come together for a night of celebrating all the craziness that goes into planning, designing, and being a vendor for events and weddings. It certainly isn’t the most linear career path, but for most of us it’s about following a passion. Seeing some of the best moments in the lives of others and helping create unforgettable experiences drives us to do what we do. Our owner, David Squires, has been dedicated to using his talents to create those unforgettable experiences for so many years now. DesignWorks is a labor of love for him, and for us, who love to be part of the DW team. It’s a privilege to watch him work his magic and create entire worlds from design, decor and floral. Friday night at this year’s awards, the folks at Colorado Expressions bestowed the honor of the Lifetime Achievement Award to David. We couldn’t be more proud of him for working for so long, with so much dedication and heart. Though we know he never does it for the recognition, we know how much he absolutely deserves this. 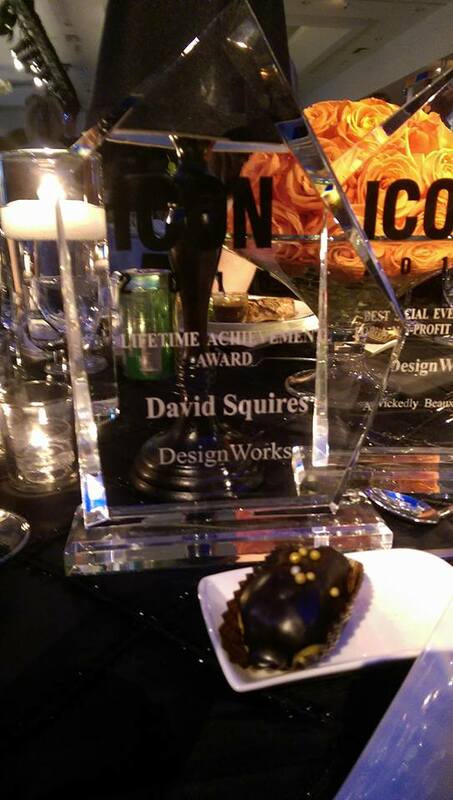 Thank you so much, Colorado Expressions and the ICON awards team, for appreciating David in this amazing way. It means the world, and we are so excited to continue creating amazing event experiences alongside him. 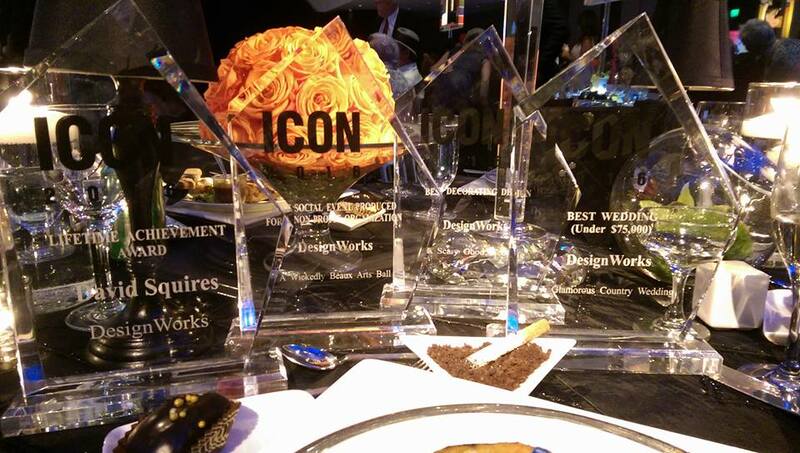 We are also so excited to share that we took home the ICON 2016 awards for Best Social Event Produced for a Non-Profit, Best Wedding Under $75,000, and Best Decorating Design as well. We’ll be sharing features on each of those events in upcoming weeks, so stay tuned!